A one sided affair in Cardiff, a dramatic finish in Paris and an inevitable end in Rome, the 6 nations is back and threw up some interesting results as per usual. Here is the XV that stood out for me in the opening weekend's games. 14. Anthony Watson (ENG) - Two blistering tries, searing pace and a handful with ball in hand, caught out once or twice on the outside by Italian adventure, still feel his future should be at fullback to unleash his full potential. Teddy Thomas unlucky to miss out here for a scorching try. 13. Scott Williams (WAL) - A solid outing for Williams knit a lot of the Welsh play together in midfield and was a rock defensively too . 12. Owen Farrell (ENG) - Looked more menacing ball in hand than he has for a while, scored a try had a sharp assist, for me England's most important player by far. 11. Steff Evans (WAL) - Classy Superman style finish, great footwork and always made yards against his opposite number, impressive . Earls had a great game too for me in Paris. 10. 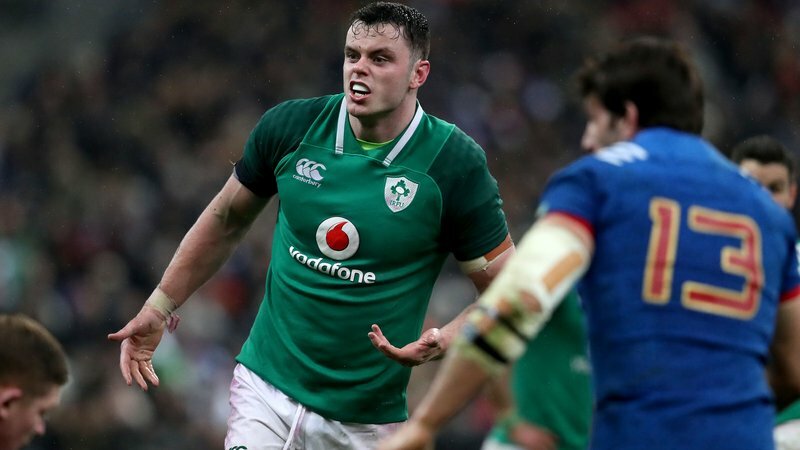 Jonathan Sexton (IRE) - To quote his teammate Mr.Kearney " the stones on him " . Nuff said. 9. Gareth Davies (WAL) - A great intercept try got him back on track after a shaky start and was always adding pace to the game from there on in. 8. Sam Simmonds (ENG) - Who need's Big Billy ? Well England do, but this guy will have to stay probably in the 7 jersey, electric off the mark 2 good tries and lovely assist for Nowell's try . His good club form has been rewarded. 7. Dan Leavy (IRE) - A position where no one else really stood for me, so JVDF's unlucky injury allowed Leavy to come on and show why he probably should've started, a front foot tackler and a menace to shift off the ball, was vital in the last series leading to THAT winning drop goal. 6. Aaron Shingler (WAL) - A nightmare for the Scots on Saturday was involved in slowing down any momentum Scotland generated, made some big hits and carries hard, a proper blindside performance. 5. Alun Wyn Jones (WAL) - Like Shingler was a thorn in the side for all Scottish forwards, aging like a fine wine, a supreme grafter who showed some turn of pace ball in hand too. 4. James Ryan (IRE) - The future is now, an excellent day from the Leinster man, controlled aggression and good out of touch too. His ceiling is very very high, a bold call but definitely the correct call. 2. Guilhem Guirado (FRA) - Supreme effort from the French skipper, massive tackle count and general defensive effort, the one player who really didn't deserve to be on the losing side. 1. Mako Vunipola (ENG) - Excellent ball carrier and handling as per usual, solid scrum but still needs some work on it but another vital cog in Eddie's team.